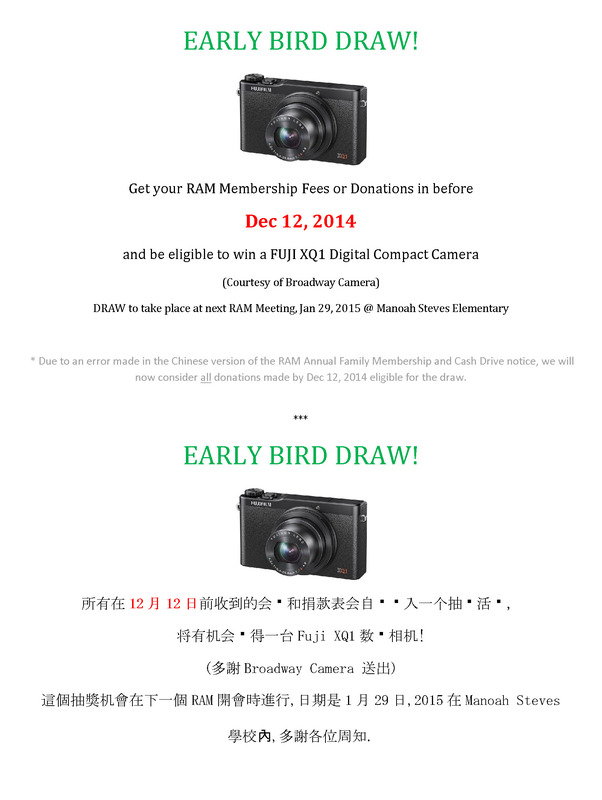 Reminder: Get your Cash Drive / Membership in by Dec 12th! For your chance to win a camera! This entry was posted in Membership on December 8, 2014 by Jacquline Ip.